With an intention to build Edge as a modern web browser, Microsoft has tried to add many common features to make the browser on the same page with others on the market. 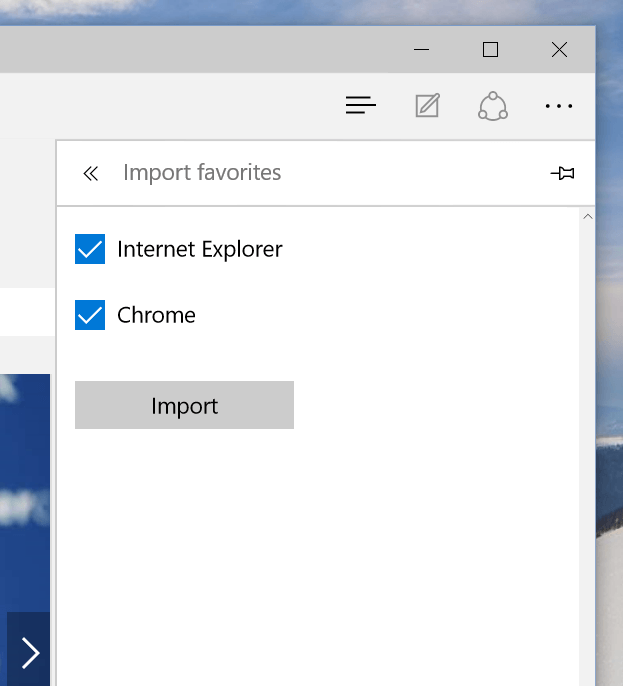 Thanks to this mindset, bookmarks importing is now available in Edge. First, you need to open Edge and select Settings from the ellipsis icon. In the next pane, simply stick the box of the browser you want to import bookmarks from. Finally, click Import and you’re done! 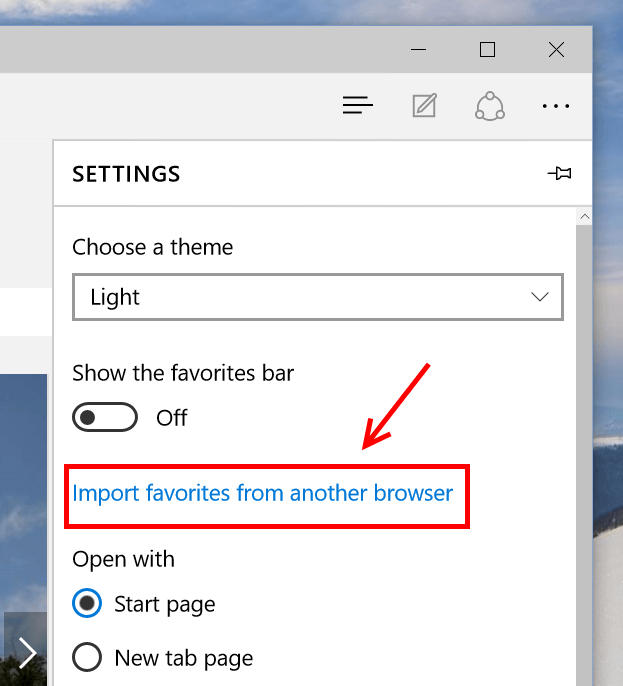 This method works with Microsoft Edge in Windows 10.